Fantastic game in which we will have to help Santa Claus to recover all the lost gifts along these incredible levels. The animals are very angry with Santa because they do not usually bring him gifts at Christmas and want to destroy the best day of humans. Use the Santa Claus gun to finish them off and leave free to continue collecting all the gifts scattered around the city. You must be able to face all the enemies, collect the gifts and reach the end of each of these levels to help Santa Claus. 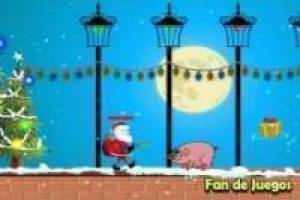 Good luck ne this game of Santa Claus Arcade since the celebration of Christmas is in your hands. 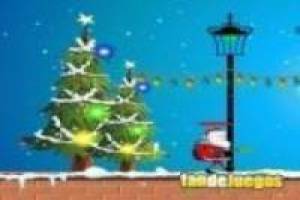 Enjoy the game Santa Claus: Arcade, it's free, it's one of our arcade games we've selected.